Orientation on Thursday, January 31, 2019 from 6:30 – 7:30 pm in Lagunitas School MPR. Informal tours available later by appointment. To sign up for a tour, please email Liz Wickersham at lwickersham@lagunitas.org or call 488-4118 x201. Tours will meet at 8:45 am on the San Geronimo campus. Please go to the upper campus school office to sign in when arriving on campus for tour. 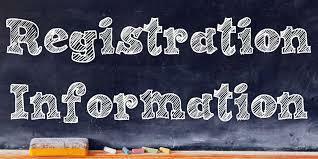 Kindergarten REGISTRATION begins February 7, 2019.